The moving professionals at Simonik Transportation & Distribution are proud to serve the many businesses and families of Newtown. Our moving company in Newtown is dedicated to providing you with the customer-oriented service and quality relocations that you deserve. From start to finish you can count on our movers in Newtown to be professional and respectful in everything from providing you with an in-home estimate to transporting your items. Residential Movers: We offer a vast array of household moving amenities for household of all sizes. Commercial Moving: You can guarantee that your move will be safe and efficient when you work with the experts at Simonik. International Movers: When you are moving overseas, it is important that you work with a mover like Simonik that you can trust to complete your move on time and on budget. Storage: As a professional storage company, we understand the importance of offering you convenient solutions that fit your schedule. Specialized Moves: Many relocations require some specialized moving services. 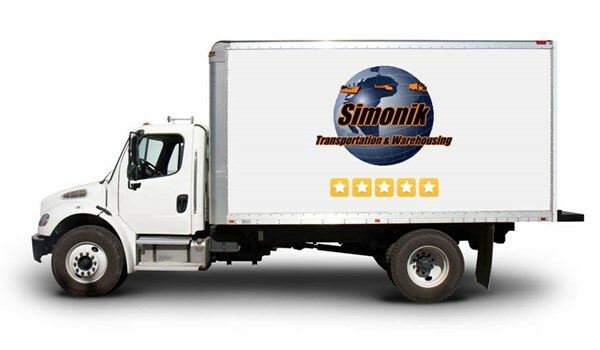 Simonik can offer you the seamless relocation you desire. Warehousing and Distribution:Our expansive storage facility is fully equipped to handle large, permanent storage solutions like warehousing. Don't wait another minute to get started on your upcoming relocation with Simonik. Please call us to speak with one of our friendly, helpful professionals. You can also fill out our online quote form to receive your free moving estimate from our Newtown movers.